When you think about Abraham Lincoln, grief is probably not the first thing you think about. But the 16th President, whose birthday is celebrated this month, was touched by loss and grief throughout his life. Lincoln’s first lost happened when he was a young child. His younger brother, Thomas, died in infancy, when Lincoln was three years old. Six years later, when Lincoln was nine, his mother died. Another ten years later, when Lincoln was 19, his older sister and only surviving sibling died in childbirth. Abraham Lincoln was born in 1809; at the time, what we would consider untimely deaths were fairly common. This did not ease Lincoln’s pain—he wrote about his deep grief after his mother’s death and his sister’s death throughout his life. It also wasn’t the end of his experience with grief. As an adult, Lincoln’s second son died when he was just shy of four years old. During the Civil War, Lincoln’s third son, Willie, died at age 11. So what can we learn about grief and death from Lincoln? Lincoln’s grief after his son Willie’s death is the most well-documented, partially, of course, because it happened while Lincoln was President. There is also evidence, though, that this loss was the one that hurt Lincoln the most. Grief isn’t like public speaking—it doesn’t get easier with each experience. By the time Willie died, Lincoln had already experienced two major deaths as an adult and two major deaths as a child, but that did not make his grief any more manageable when Willie died. If you’ve experienced multiple losses, you might be surprised that your experience of grief is different every time. One well-documented aspect of Lincoln’s grief after Willie’s death is that it manifested itself very differently than his wife’s grief. Part of this was because of Lincoln’s role as President—there were limits on how publicly and expressively he could grieve. But it was also because everyone grieves differently. This allegedly put a strain on the Lincolns’ marriage, which is common when two people experience a devastating loss and have trouble understanding how the other person is expressing his or her grief. In both in-person and in letters to the families of fallen soldiers as well as to family and friends who had lost a loved one, President Lincoln was noted for his ability to talk about grief openly and honestly. His own experiences with grief informed how he offered condolences, how he tried to help people find meaning in their losses and how he used both words and gestures to show solidarity with grievers. This ability was crucial to his ability to help a grieving nation recover from a civil war. 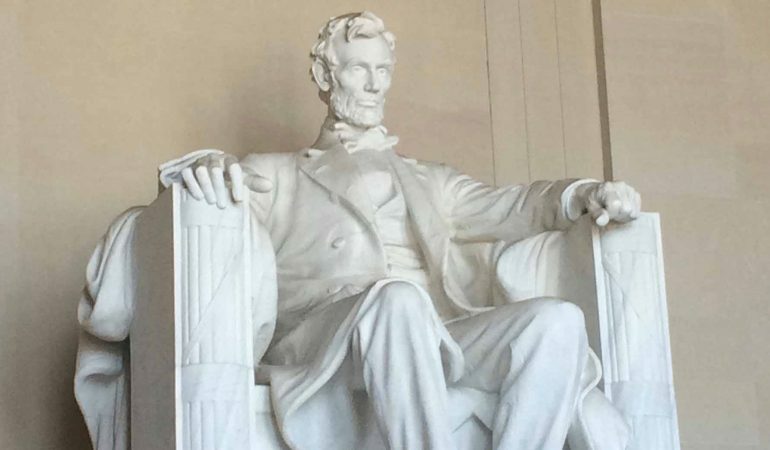 Many historians consider Abraham Lincoln the nation’s best president. None of the losses in his life, from the early death of his mother to the death of his young sons, prevented him from becoming a successful lawyer and then a politician and, ultimately, the President. There are many types of goals that grief—and even depression, which some say Lincoln suffered from—does not prevent you from reaching. If you’d like some help moving through your grief to get to greatness, talking with a counselor can help, as can a support group with others who get it. We all grieve differently, but we can also learn from others who have experienced a similar loss.